Microdermabrasion can be used for acne scars, as well as to reduce or erase fine lines and wrinkles, giving you a more beautiful, radiant and youthful appearance. Microdermabrasion has made it possible for some people to reduce the visibility or even erase the acne scars, but there of course will be pros and cons to using this type of treatment. Deep acne scars cannot be treated successfully with microdermabrasion due to the fact that the process of microdermabrasion is to remove the top layer of the skin. The deep acne scars are deeper than what the process of microdermabrasion covers. However, there is a slight pro involved as well. Although microdermabrasion cannot completely heal deeper acne scars, it can over numerous treatments, smooth out the scar and makes it less deep. The factors that will be considered on how many treatments an acne scar will need depend on the size, location, number of scars, and of course, the depth. The depth is what causes the likelihood of repeated treatments. 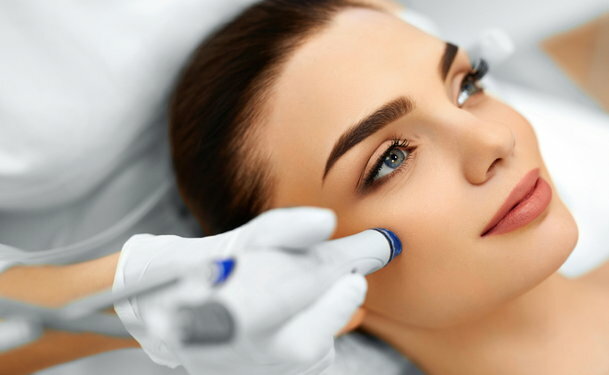 Most microdermabrasion treatments can be done in less than an hour; generally, it only takes about 30 minutes if the treatment is being done on the face. Longer time is necessary for larger areas of the body, such as the chest or back. Especially in the case of minor acne scarring, it is possible to see the dramatic reduction or erasing of mild acne scarring in the first microdermabrasion treatment. 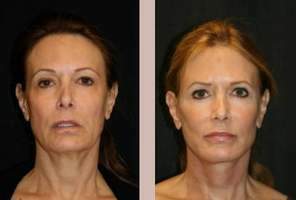 Time is of the essence for microdermabrasion treatment of acne scars. For the most optimal results, you should start microdermabrasion treatment on acne scars within 3 years of the formation of the scarring. The con to this is that for the most optimal results of microdermabrasion treatment of acne scars, the treatments must begin no later than 3 years after the scarring started. The procedure is effective in either a dermatologist’s office or in a spa facility. A dermatologist generally has more state of the art equipment, but they are also more likely to be more costly. Advanced age means less collagen is produced. Part of the way microdermabrasion works is that after the treatment is done; the body stimulates the production of collagen to fill in the pitted areas. However, as you age, your ability to produce this is limited. The cost of microdermabrasion is much cheaper than the more invasive approaches that were used before microdermabrasion was approved to be used for acne scar treatment. There is virtually no pain with microdermabrasion for the treatment of acne scars. Essentially, there is no major pain that needs to be corrected with analgesics; prescription or not. Some people say it feels like slight sunburn for a day or so after the treatment. Because microdermabrasion for the treatment of acne scars is non-invasive, the chances of complications are slim. Common complications generally arise from a patient not following the orders of the person who performed the treatment. The most likely complication is scarring, due to not following doctor's orders. It is obvious that there are more pros than cons for the process of microdermabrasion for the treatment of acne scars. It is quite simple; have the treatment done in the first three years for the highest possibility of success and don't expect miracles if you are in you are in your mid-60s and on.